1/2 of all adults have worked in restaurants. 1 in 3 first jobs are in restaurants. 95,800 New Mexicans are employed in foodservice, representing 11% of all of the employment in the whole state. 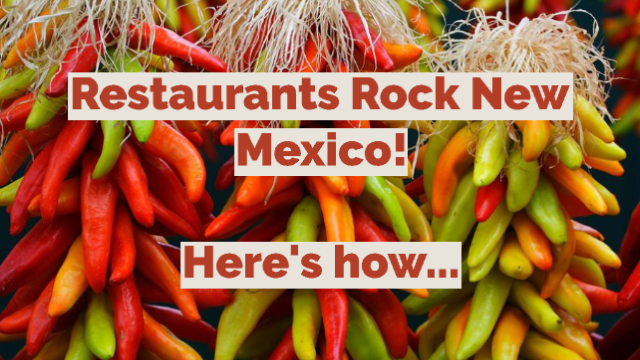 With sales of $3.4 BILLION, restaurants in New Mexico pay $290 Million in Gross Receipts taxes annually. There are currently over 3,300 eating and drinking places in New Mexico. 90% of restaurants support local charities… 85% Give food, 79% Donate cash, and40% Provide space for events. Want to see how we rock in person? Join us for the 2018 Hospitality Industry Awards on September 10th!